Drums is the most popular percussion instrument loved by numerous music lovers across the world and forms the integral part of major music genres like Jazz, Reggae and classical music. Professional Drums players have huge demand from many musical bands, resulting in more number of individuals opting to learn drums either as a hobby or to have a successful profession. Drums player software is the perfect companion for these individuals to learn and practice drums virtually anytime and anywhere. Here is the list of better drums playing software options for both the amateur and professional drums players. 20 GB of detailed, high- quality drum samples. Extensive grooves content, mapping tabs, velocity control, and large collection of library files. MIDI drums grooves with provisions for searching matching grooves by filters and browsing. Power hand feature allows easy communication with the drummer. Possess many award winning sounds. Three superior drum kits and 130 professionally designed presets in different ranges. Core MIDI library with more than 5000 beats and grooves. This is state-of-the-art drums player software with free download options for the users that boasts of broad range of sounds and editing capabilities. It has dedicated kits for all music genres like rock, pop, hip hop, reggae and Jazz kits. 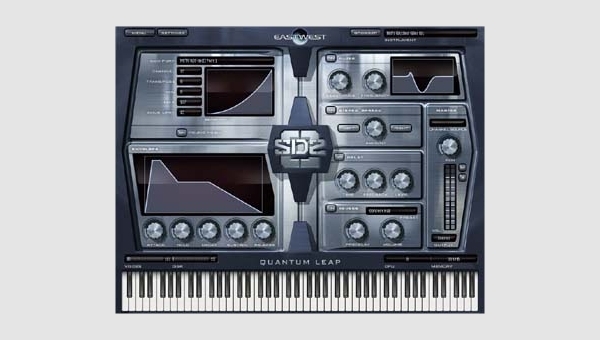 It possesses 12 GB sample library of 100 different-styled drum kits. Innumerable effects and performance features produce realistic sound. Button Bass is the online drums player for amateur and kids to create their own music online and share it on the social media and video streaming channels like Youtube. Allows easy recording of the music created. Computer keyboard can be used to produce different sounds and beats. 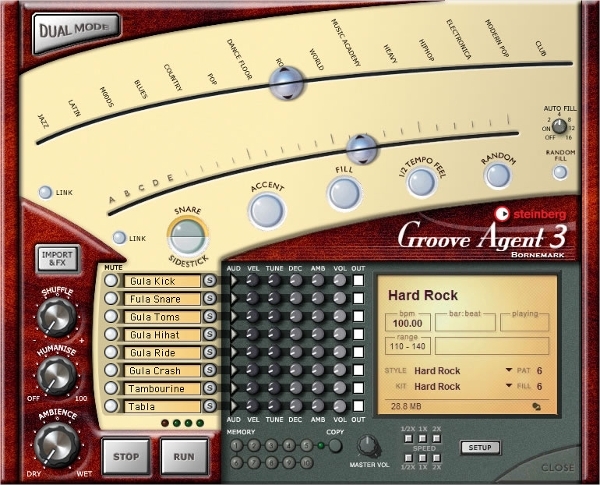 Offers acoustic kits and Percursion Agent to create desired sounds and grooves. This is another useful online drums player software that allows the beginner drummers learn the basics of drumming and take advanced lessons to progress into a professional drummer. The computer keyboard can be used to create different drum beats and sounds. 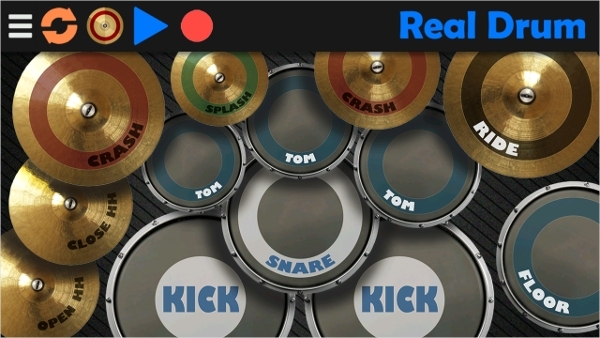 Virtual drumming app is available for smartphones and tablets. This DVD drums package comes with big sounds that will make the percussion tracks more powerful with superb and impressive sound quality. Comprises of many unusual instruments that are native to China, Tibet and Indonesia. Paid application with approximately 13 GB of samples. Compatible with Mac and Windows OS. Highly realistic drum beats with advanced “Cymbal Swell” and “Tom Resonance” features. Compressed 50 GB large sample library. 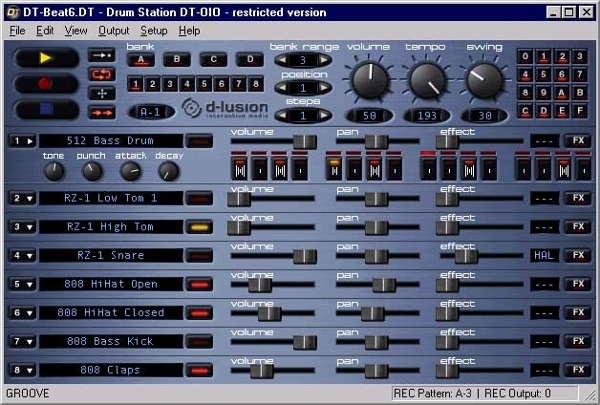 The Drums playing software comes with vast variety of drums beats and sounds to play with and has amazing sound quality similar to that of physical drums. The drum enthusiasts can learn from thousands of online drum tutorials, less expensive software programs and DVDs designed and designed by the experts in the field of percussion instruments. The major advantage of these software drum package is that majority of them are easily downloadable from the online and can be used immediately to start drums learning. Learners can take the lessons at their own comfortable pace allowing them to go back to the previous lessons and attain mastery in a much earlier period. Software and DVDs are of great help to the novice learners as they offer a far more flexibility and can help them to progress faster with a good self-discipline, focus, enthusiasm and persistence. They can learn different styles like hard rock, funk, blues and jazz in relatively less time and at any point of the day as compared to the conventional way of learning lessons from drums tutors. The drum player software eliminates the burden of carrying huge drums to live concert places. They come at a very cheap prices and affordable to every music lover who wants to learn drumming. They come with tremendous features and allow one to change the sound of drumming with great ease. They can produce studio quality drum sounds and also offer large varieties of musical styles. They come with plenty of customizable settings and user-friendly interface. They allow one to learn varieties of drum brands in an extremely inexpensive way. They come with tutorials and courses which help one to learn at their own pace and master the art of drumming. They come with recording features which help one to replay and improve the practice by learning the mistakes. They are combatable with many musical instruments and can be connected through MDI. They also come with many drum pads and samples which help one to learn drumming with great enthusiasm. They come with touch screen facility to start the music easily. They can generate high quality sounds which are sure to encourage the musician for their projects. They come with highly advanced features and they are perfect devices to replace the conventional drums. 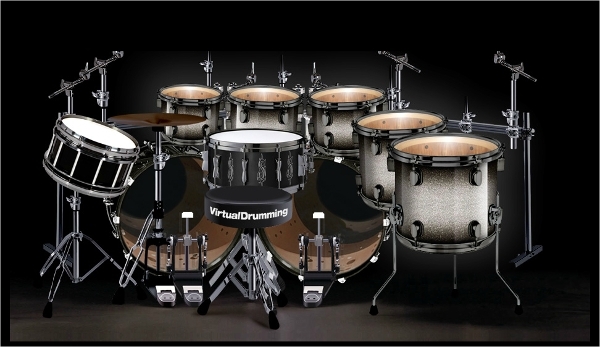 There are number of drum player software available for various platforms. Since the drum player software relies entirely on the platform that you are using one should verify for compatibility. For instance, there are drum player software that are specifically meant for windows, android and Mac Os, etc. platforms. A user can select appropriate software. 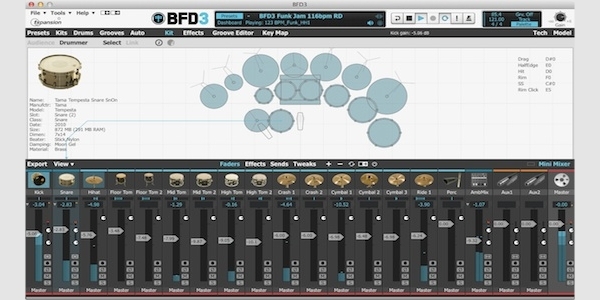 This drum player software perfectly mimics the conventional drums. 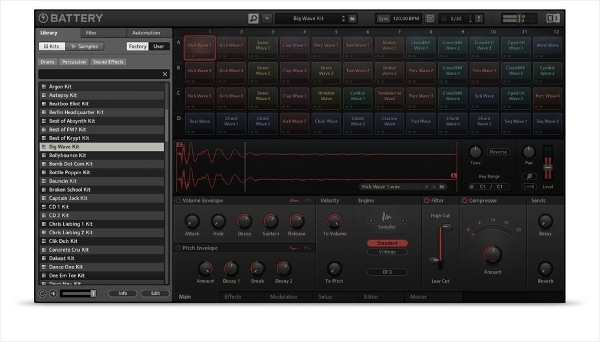 It allows playing drums with ease and creates a realistic drum effect. It allows customizing drum kit and sharing with others. It comes with simple user interface and helps one to master the drumming with great ease and perfection. It produces quality sound. 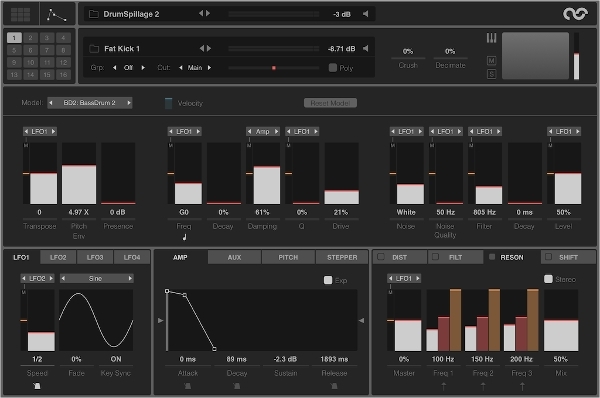 This excellent software simulates conventional drums effectively on the android device. It is very easy and comfortable to play. It is easy to use app and comes with samples to practice perfectly. It produces sounds which are of studio quality. It allows arranging pads in different way to adjust to your comfort. 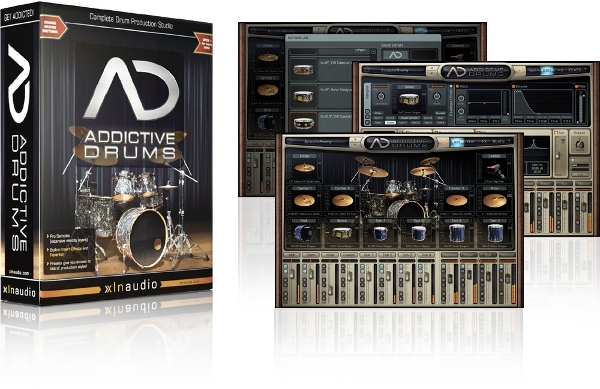 This is tremendous drum player software and it features twelve drums models. It is capable of creating diverse range of sounds. It is designed perfectly for each drum to create unique sound. It comes with plenty of effects and filters to enhance the sound effects. It comes with good modulation capabilities. For windows some of the other drum player software is “DrumPads”, “Drums Room” and “Dany’s Virtual Drum”. For android application “Drum set”, “Drum HD” and “Drum Kit” are some of the drum player software. “Hydrogen for Mac”, “Hahaha DS-01” and “Teragon Audio KickMaker” are some of the drum player software for Mac Os version. This drum player software comes with plenty of features which make it popular. It comes with very good interface and one can learn the software and its functions with ease. It comes with eight channels and samples for each channel. It comes with good effects and does not occupy the computer memory much. These drum player software which comes with high capabilities and capacity to mimic conventional drum instruments. One can learn these software with great care and get the knowledge of various drum player software that are available on the web. One can select drum player software according to their taste and enjoy drumming.